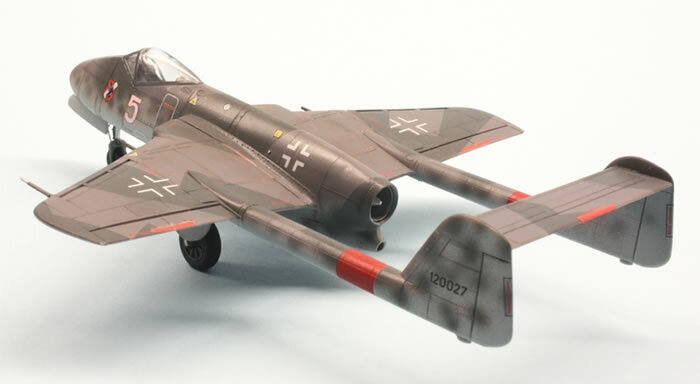 I would like to show you Revell's little 1/72 scale Flitzer‚ an interceptor project developed by Focke Wulf in Bremen between 1943 and the end of 1944. 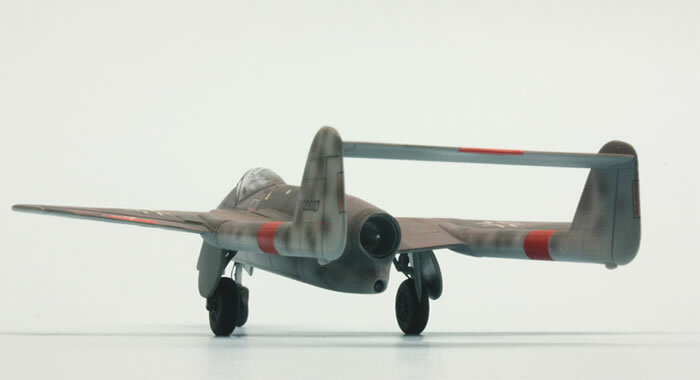 Lacking interest from the RLM doomed this promising rocket- and jet powered fighter. 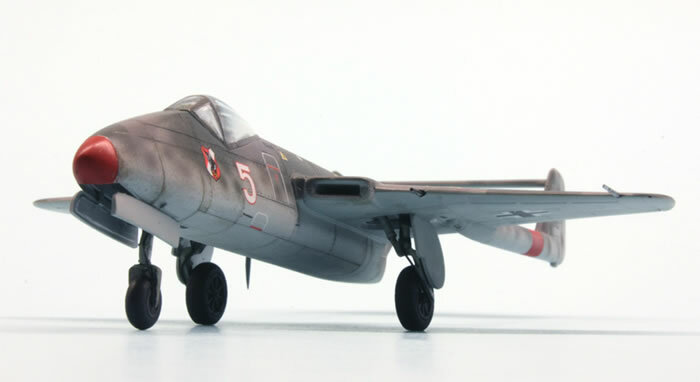 It’s general layout and measurements represents closely those of de Havillands "Vampire"‚ flown for the first time in Great Britain in these years. 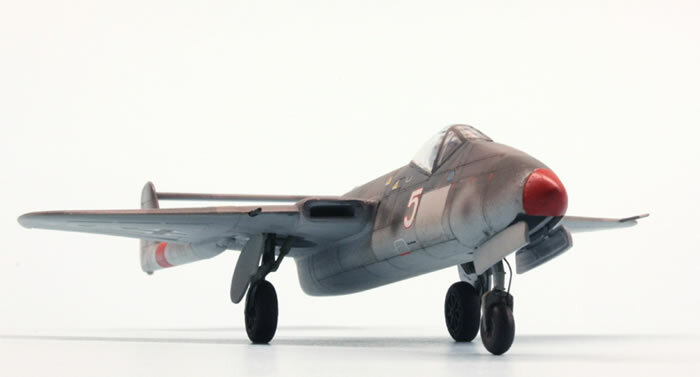 Revell's kit pleases the modeller with perfect fit and a general high standard of detail. The decal sheet is gorgeous and of best quality. 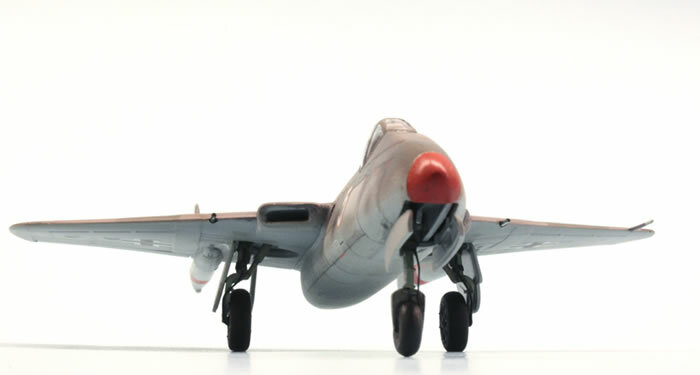 Gunze colours were used for all the surfaces, the “wear and tear” was done with pastel colours. 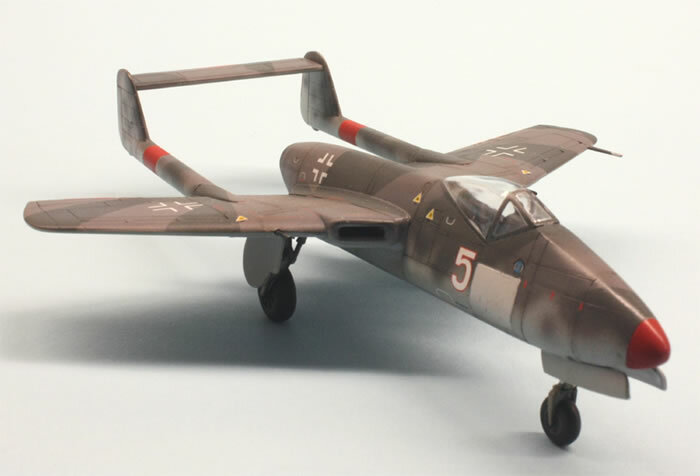 The "Flitzer"‚ representing a fictional aircraft flown by the JG 1 in Lech in 1946‚ is built mainly out of the box. 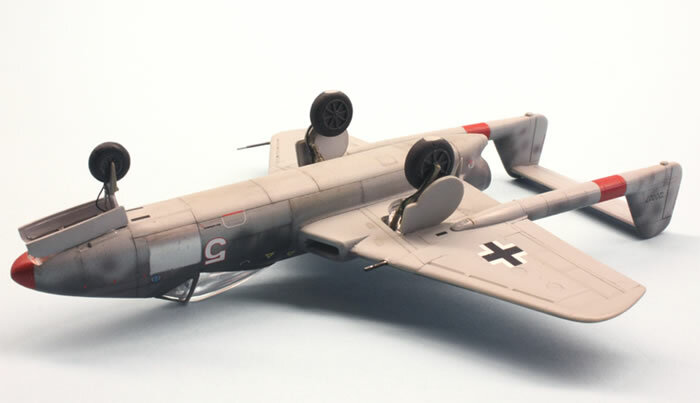 The cockpit area was detailed‚ brake lines added an the muzzles of the wing guns were made by hypodermic needles. If you are interested in the building process, you may take a look at JAM´s workbench area.